As mentioned earlier, Suqqu will be revamping its skincare, base and colour makeup lines on 3 September in Japan. 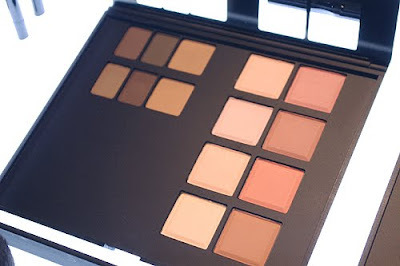 The new eyeshadow quads are dominated by neutral browns, beiges and nudes, without any of the blues and greens eyeshadows that are in the current lineup. So if you have been eyeing any of the current quads, you may want to snag them before they disappear for good. Suqqu is so expensive, over US$100 for a foundation and more than US$50 for a lipstick. I actually prefer the current line-up which looks more interesting compared to this flood of neutrals. Who's the model in the ad? She looks like a ghost! Not sure who is model, but it could just be the lighting in the photo. I'm a little disappointed by this. Suqqu last revamped its lineup in Autumn 2007, so this seems very soon to be doing it again. I also agree with you Haru that the quads look a bit dull, compared to the current Blend quads - this is the way the last couple of collections have been going. I know it sells well, but I do like to see something a bit different too. Luckily, I have a few of the current quads already. 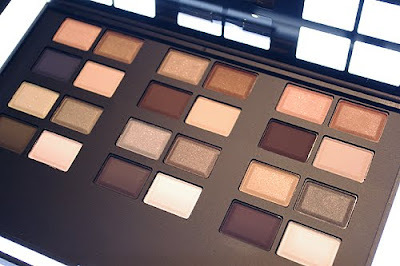 Perhaps Suqqu will introduce more interesting palettes in its seasonal limited edition collections? The brand is targeted at more mature consumers with high spending power, whom I guess are not really into experimenting with colours. 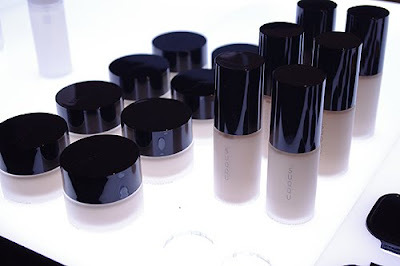 Hi Haru, do you know which Suqqu foundation shade is closest to MAC's NC20? I can't figure out from the foundation chart whether it's 101 or 02.. I haven't tried Suqqu's foundations before so I don't know how light they run compared to MAC, sorry!